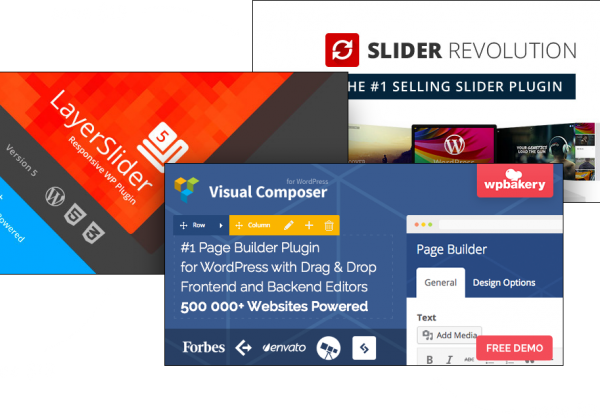 Responsive and Retina ReadyWe care about every user and how they access to our job board site. 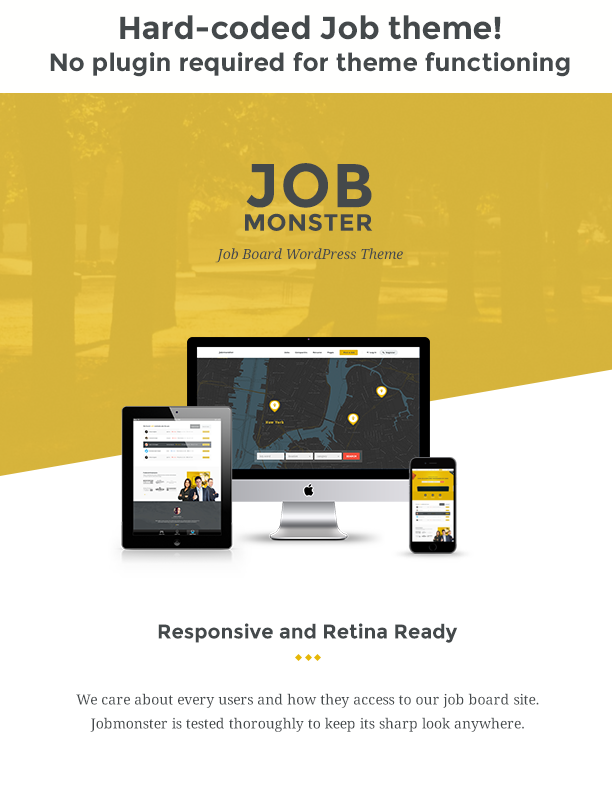 Jobmonster is tested thoroughly to keep its sharp look anywhere. 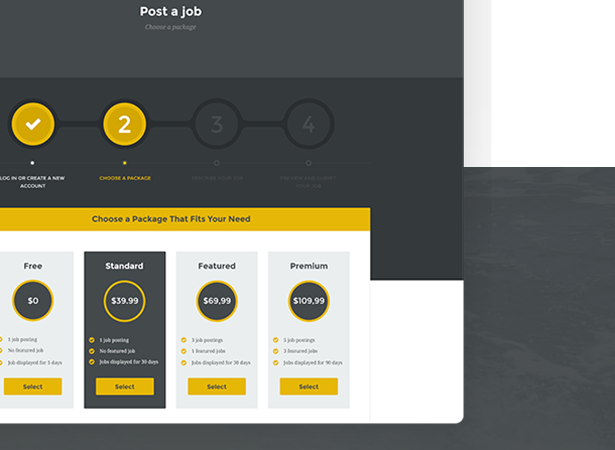 Frontend Job Submission and Edition for Admin ReviewEmployer can submit and edit job directly in frontend following submission steps. Admin then can review to approve or reject a job. Frontend Resume SubmissionCandidate can post number of resumes directly in frontend following submission steps and choose which one is searchable. 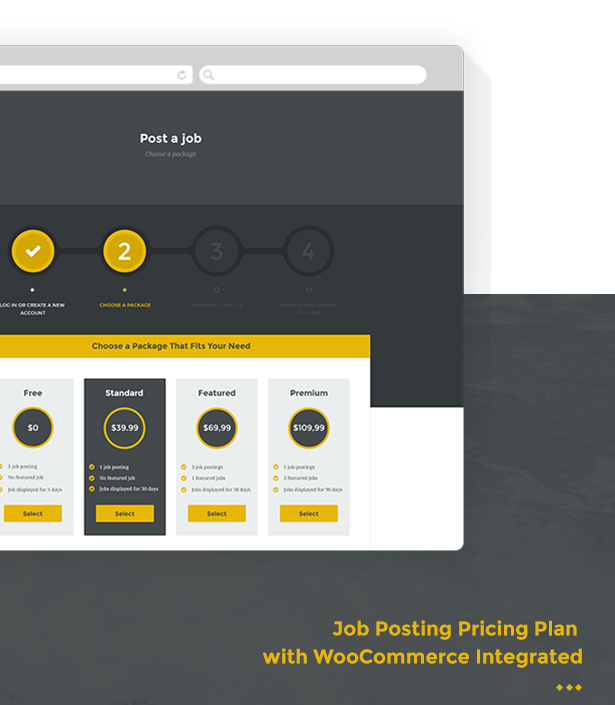 Job Posting Pricing Plan with WooCommerce IntegratedYou can set the number of job posting plan. 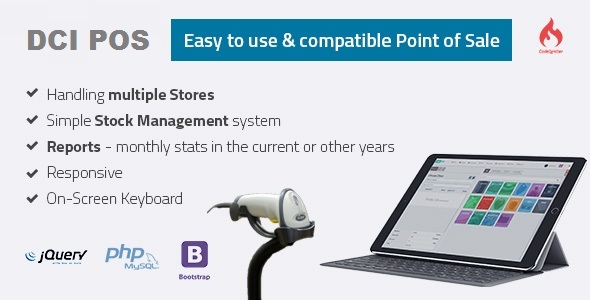 Payment can be completed effectively with WooCommerce integrated. Employer Management DashboardEmployer can edit Company profile, manage jobs, view and response to applications from candidates. 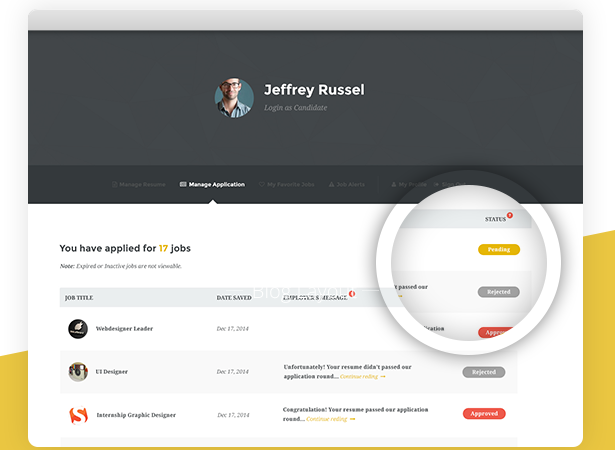 Candidate Management DashboardCandidate can edit profile, manage resumes, view jobs applied, bookmarked jobs and manage job alert. 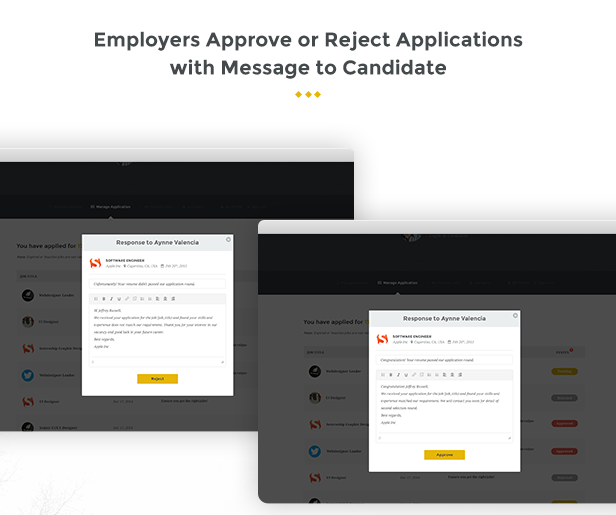 Employers Approve or Reject Applications with Message to CandidateJobmonster allows you to enable admin to review then approve or reject job submission from Admin panel. Company Directory in AlphabetView Company listing in alphabet and Company profile with their available jobs. 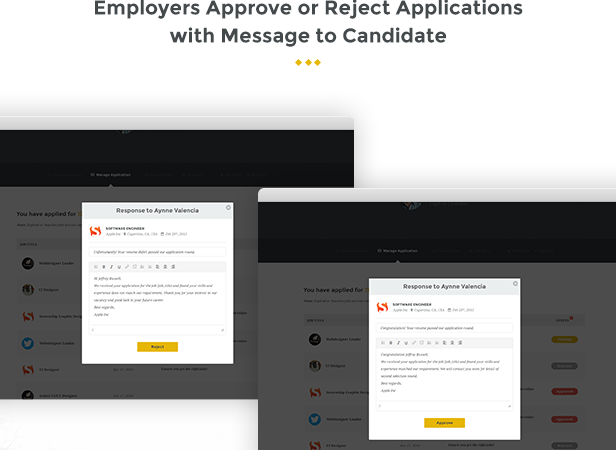 Every Actions Comes with Email NotificationsBeside Job Alert sent to email of candidate, most actions of Jobmonster comes with email notification in flow. 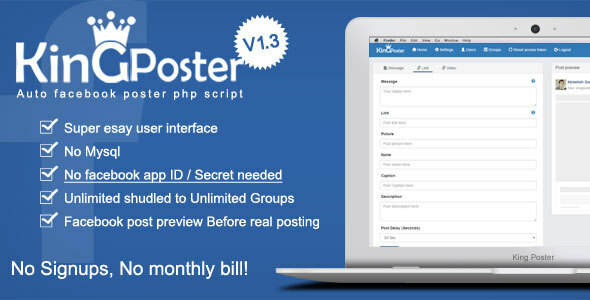 Powerful CustomizerAll NooTheme themes are equipped with the super powerful Customizer. 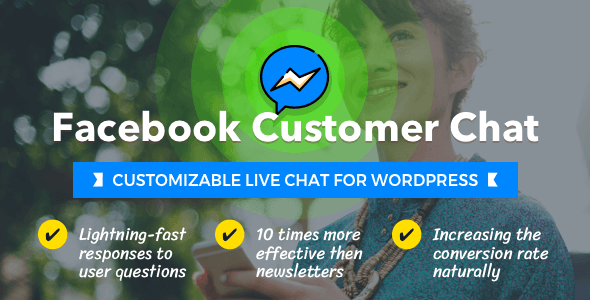 Working as the familiar original WordPress customizer, Jobmonster Customizer is much more versatile where you can configure and change settings of almost every elements on your site. 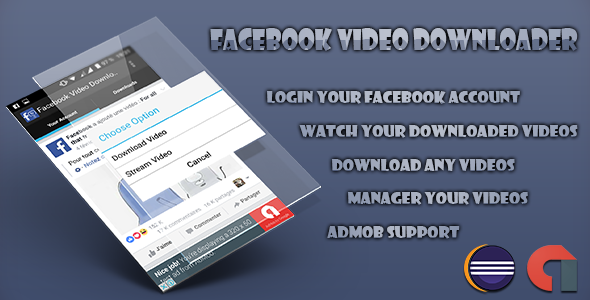 It is easy to use with Custom bar on left side and live preview screen on right side that adjust along with your changes in real time. 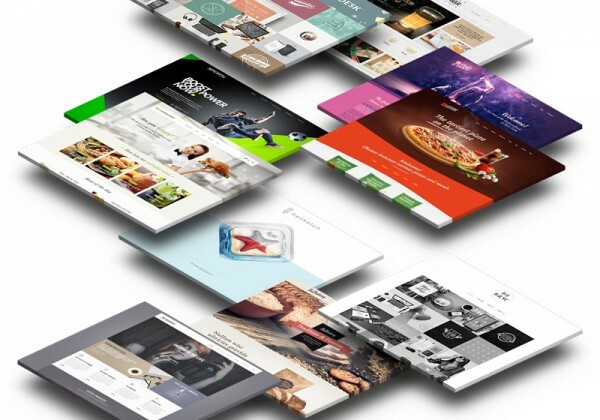 Play around until you are satisfied with your website’s look and just after click Save & Publish, all the setting then will be public in frontend. 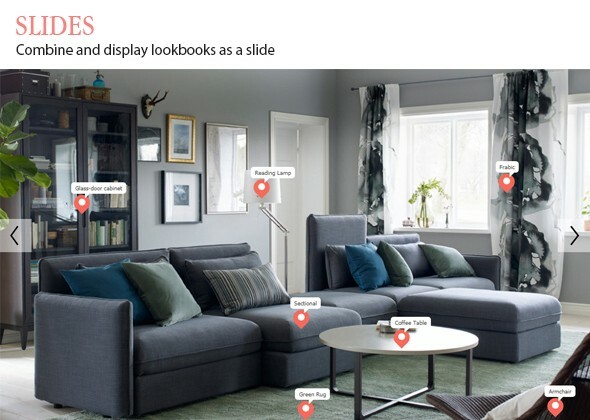 No need to shift back and forward between dashboard and frontend to see your changes and keep it private from visitors. 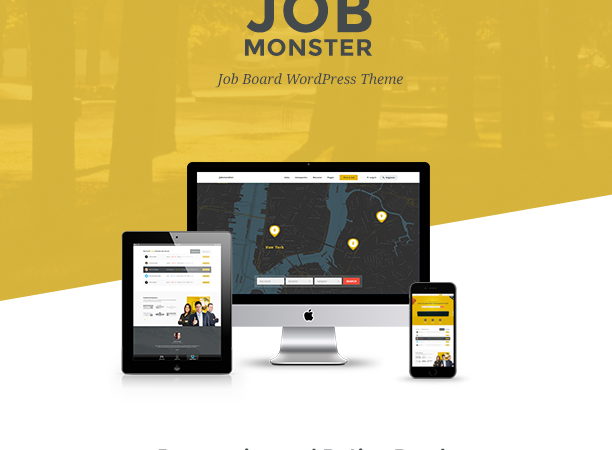 You also can import and export your setting to use for next website using Jobmonster. 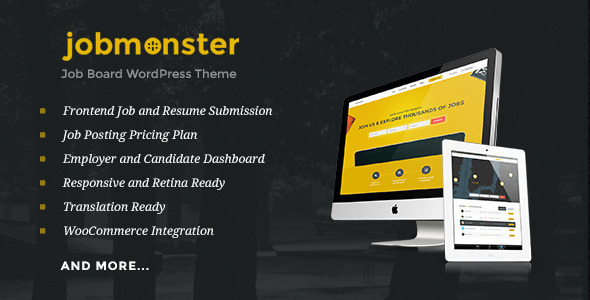 Translation ReadyJobmonster supporte multilingual translation using WPML or POEdit. 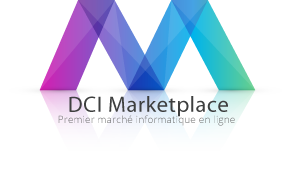 Soyez le premier à laisser votre avis sur “Platforme de recrutement/Offre d’emploi – Job Board” Annuler la réponse.